If you suffer from chronic pain or pain that lasts longer than a few months, you're not alone. According to the National Institutes of Health, over 76-million Americans live with chronic pain -- especially from arthritis, headaches, low back pain, nerve and muscle pain, and cancer. While there are several ways to manage chronic pain, making dietary changes is one of the most cost-effective, noninvasive solutions. A Mediterranean-style diet appears to reduce inflammation and chronic pain. According to information published by the Cleveland Clinic, pain management specialist William Welches, DO, suggests eating eight to nine servings of vegetables plus fruits daily -- especially cruciferous veggies like Brussels sprouts, broccoli, cauliflower, cabbage and kale. The Arthritis Foundation confirms that cruciferous vegetables appear to help ease arthritis pain. Fish is a main part of Mediterranean diets and can help ease inflammation. 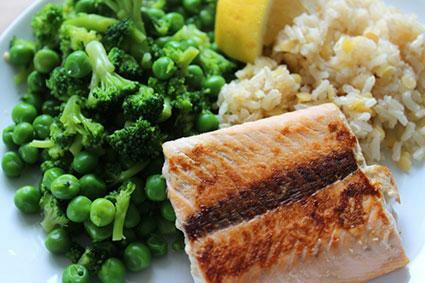 The Arthritis Foundation suggests making fish your main protein food to decrease inflammation and ease arthritis pain. Cleveland Clinic also recommends eating fish for pain relief and notes that chicken or vegetarian protein sources like legumes, tofu (if you're not allergic to soy), nuts and seeds are also good options in place of red meat. You can easily add omega-3-rich oils like walnut, canola, pumpkin seed, soybean, or flaxseed oils to your meal plan. The Arthritis Foundation suggests garlic and turmeric to help ease chronic pain. Try cooking dishes with these ingredients, or look for garlic or turmeric supplements. If you do choose to use supplements, always discuss them with your doctor first. 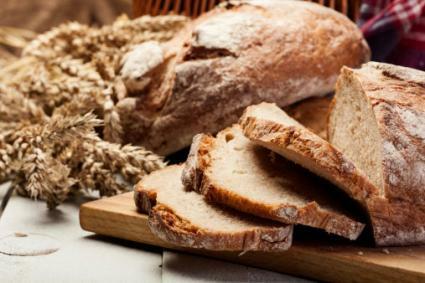 If you have sensitivities or intolerances to gluten, lactose or soy, eliminate foods that contain these items, such as wheat products and dairy foods. To minimize the pain you experience, make a few extra lifestyle changes along with altering your diet. Dr. Welches suggests losing weight if you're overweight, getting daily exercise in the form of walking, and managing stress to get chronic pain under control. The portion sizes for these meal plans will vary based on your daily caloric needs, so discuss this with your physician prior to changing your diet. 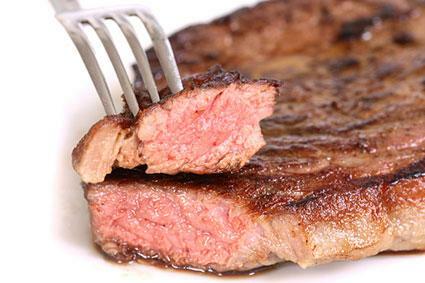 No single diet fits all when it comes to chronic pain management. However, adopting a Mediterranean-style meal plan may help minimize pain and boost your quality of life. Discuss your current diet with your physician and make changes based on his or her recommendations.